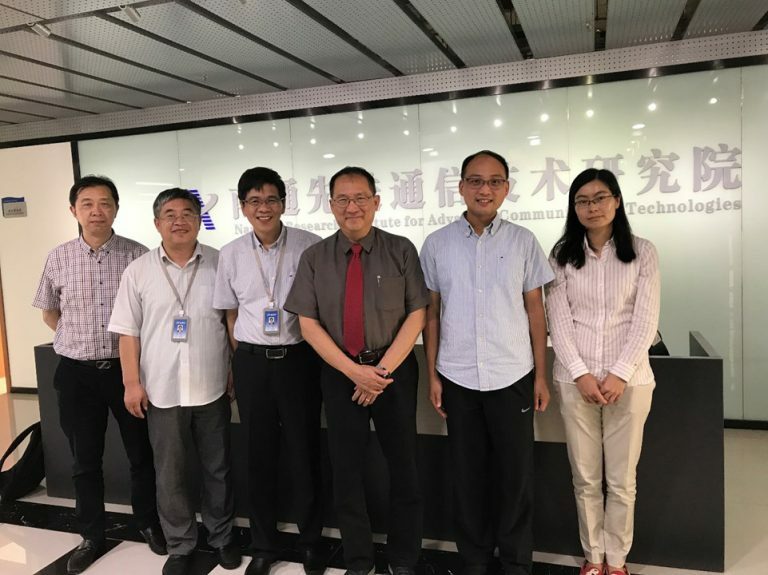 The Hong Kong Applied Science and Technology Research Institute (ASTRI) and Nantong Research Institute for Advanced Communication Technologies (NTACT) signed an agreement on 27 June 2017 in Nantong, China, paving the way for further collaborations in 4G and 5G base-station technologies. Dr Justin Chuang, ASTRI’s Vice President of Next Generation Network, and Professor Ning Ge, NTACT’s Associate Dean, officiated at the collaboration agreement signing. Witnesses to the ceremony included from NTACT Professor Zhihua Bao – Executive Dean and General Manager, Professor Chen Xu – Associate Dean; from Tsinghua University Professor Zuyao Ni; and from ASTRI Dr Eric Tsang – Director, and Dr Elaine Zhang, – Senior Manager. This collaboration agreement follows through from the establishment of the ASTRI – NTITI (NTACT) Joint Laboratory in September 2016. 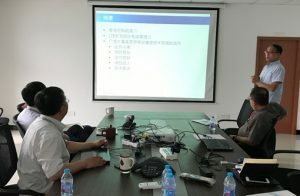 According to this agreement, ASTRI will license 4G and 5G Cloud-RAN base-station technologies to NTACT to develop commercial wireless communication networking systems, which will be applied in wide-coverage wireless broadband and cooperative communications, including satellite communications, offshore broadband services, as well as broadband private networks used by government and commercial entities. 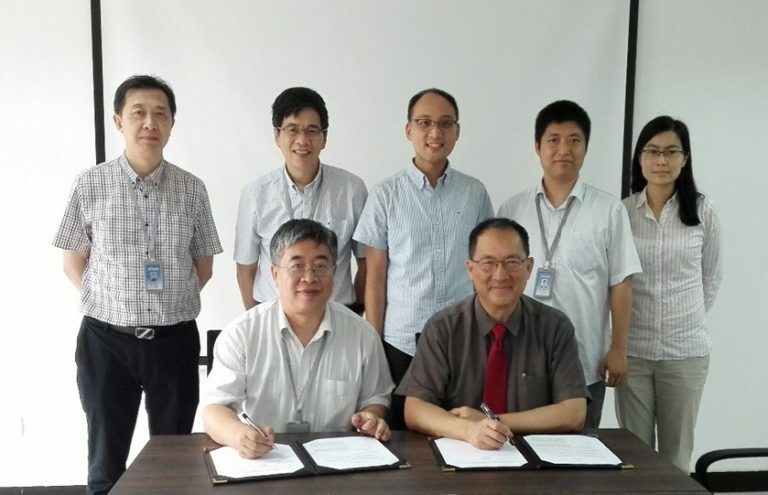 Prof Ning Ge (1st row, left), Associate Dean of NTACT and Dr Justin Chuang (1st row, right) Vice President, Next Generation Network of ASTRI sign the agreement with the witness of representatives from NTACT, Tsinghua University, and ASTRI. 2nd row from left to right: Prof Chen Xu, Associate Dean of NTACT, Prof Zhihua Bao, Executive Dean and General Manager of NTACT, Dr Eric Tsang, Director of ASTRI, Prof Zuyao Ni, Professor of Tsinghua University, and Dr Elaine Zhang, Senior Manager of ASTRI. 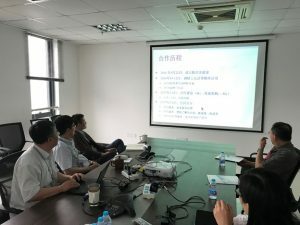 Prof Ning Ge (1st from the left row back of left photo), Associate Dean of NTACT and Dr Eric Tsang (1st from the right row front of right photo), Director of ASTRI, introduce the collaboration between ASTRI and NTACT.